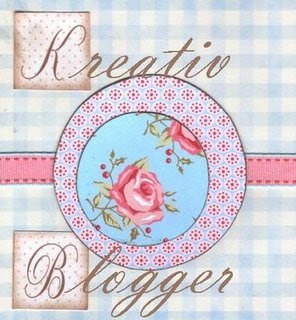 Usually I forget to go ahead and do these, and then they get lost in the mess of things, but recently I was awarded "kreativ blogger," by Kristin (from Jorden and Kristin,) and by One Heart, Two Hands! Thanks guys! or, erm, girls! 7-Leave a comment on each of the blogs letting them know they've been nominated. Alright now, seven things you don't know about me....hmmmm. 1. I'm an orange snob. I expect my oranges to be sweet and juicy with an abundance of bright orange color and a lack of seeds. I bit into an orange yesterday, here in TN (well the Orange is from South Africa,) but it was disgusting! Dry rotted is the only way to describe it. Florida has made me a snob in many, many ways....I'm working on it. 2. I love sending snail mail to people. I love receiving snail mail from people. I wait with baited breath for mail time everyday,, and I love that something as simple as a little note in the mail can totally brighten up your day! 3. I listen to Christmas music. All. Year. Long. 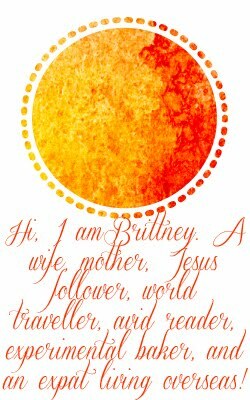 Not necessarily every day, or every week, but I slip in an "Oh Holy Night," or "Little Drummer Boy," whenever I need a pick me up. And, when I had my own home, I cleaned my house to Christmas music! 4. I secretly love the "Real Housewives of," series. New York, New Jersey, Atlanta, it doesn't matter, it's all so interesting to me. Incredibly trashy? Yes. Incredibly Fascinating? Yes, indeed! 5. I don't like cats. At all. I'm sorry to everyone out there! I know most of you have cats, but I have to tell you, cats creep me out. Not in pictures, in pictures on your blogs they look so adorable and cuddly and cute! But in person, uh uh, no way. My big thing is that you can't tell what they are thinking, and cats are SO smart. If one of those guys had it out for me, I'd be a gonner for sure. 6. I'm really afraid of burning myself when taking things out of the oven. Even when wearing oven mitts. Especially then. About a year ago I was using an oven mitt and I reached in and grabbed the pan, and I guess there was a hole in the mitt right in the crook of my thumb and pointer and it just burned the heck out of my hand. I'm quite comical now, with double or triple layer pot holders! 7. I love rock climbing! I have only done it in indoor gyms, but I seriously think I could go several times a week! It's so challenging and fun to do, the difficulty is finding someone to go that A.) Isn't afraid of heights (so my hubby is out,) and B.) has the stamina to last for about 3-4 hours. that's the only way to get your money out of it! Well, that was fun! Thanks for reading along! I love snail mail and Christmas music, too! I don't listen to it year round, but as soon as it's the Christmas season, that is all I listen to!